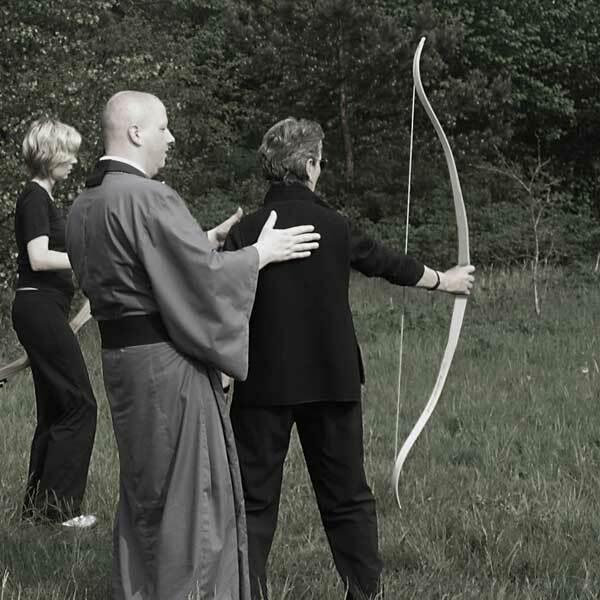 ZEN ARCHERY: following the old practise of seated Zen and walking Zen that was being taught in Japanese and Chinese monasteries that is how the Way of the bow came to life. Concrete and unerring shooting is something completely different from a shot that is made with peace on our minds because that’s when bow, archer and target turn into reality. This kind of reality is the lived now, free from adhesion, without clouding the mind. In the now of the moment, the union of body and mind, we enter the gate of life in its full beauty and power in any moment. 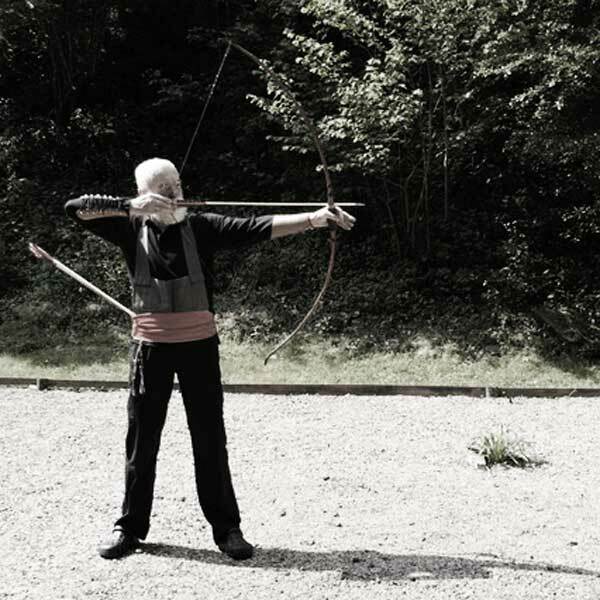 The exercises with the bow are inspired by clear forms of Zen and also classical Indian archery which can be performed left- and right-handed in different Asanas. 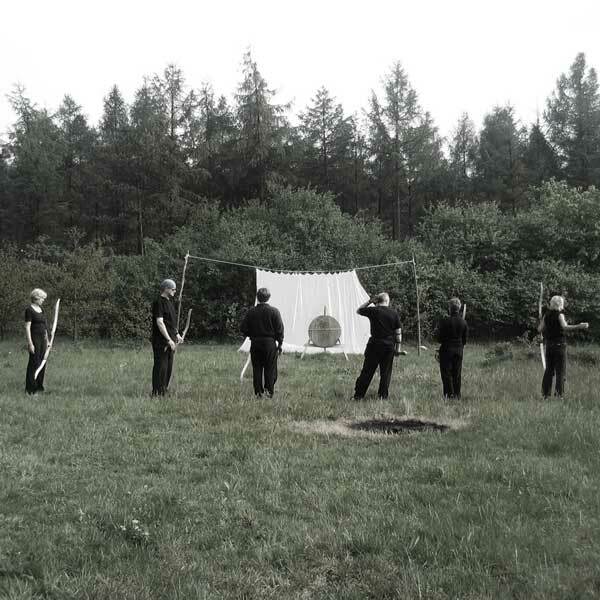 We exclusively practise with horseman- or longbows without auxiliary devices. All following texts are by KyuSei Kurt Österle. PRACTISING with the bow had impressively taught me the entirety of this never ending way. Serenity means letting go. That’s nothing that you can reach through an inner order. Bow, archer and target turn into reality. This reality is the lived now free from adhesion without clouding the mind. 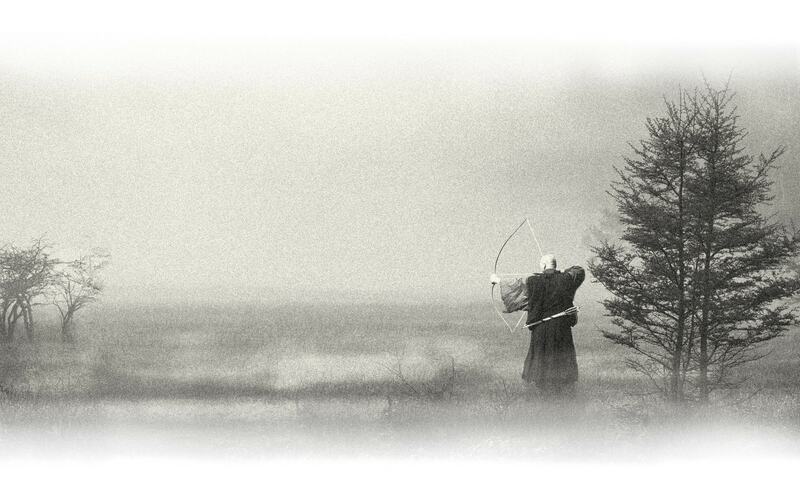 I’d like to describe the interaction of body and mind on this Zen Way of the bow. This interaction takes place from the first until the last phase of practise. Due to lack of space I can only emphasize this on a few different stations. We practise with bows of the western tradition without any auxiliary devices. To go a spiritual way without neglecting or ignoring the body, is that possible? Coming from the Christian tradition he chose the Way of the bow as spiritual practise. What fascinates him the most about this is: how in the now of the moment a unity of body and mind is formed and the gate of life if opened in its full beauty and power. 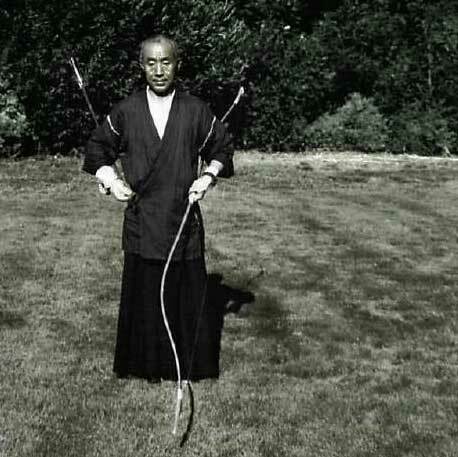 The practise with the bow cannot be understood as a try to enter deeper into the Zen experience because that would not only not fulfil but destroy one of the most important aspirations of our practise which is the absence of intention. 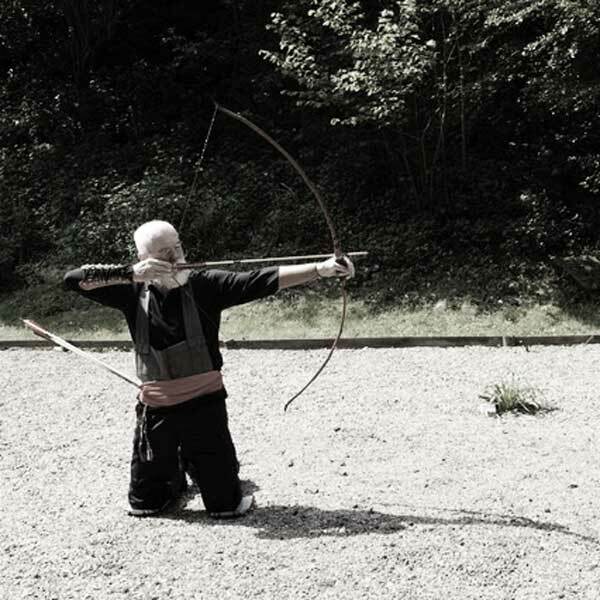 If we practise Zazen and archery in our daily routine that doesn’t mean that Zazen is the mental preparation to be able to shoot better afterwards. We shoot for the sake of shooting and we sit fort he sake of sitting. Each practise has its own quality to it and they nourish one another quite impressively. 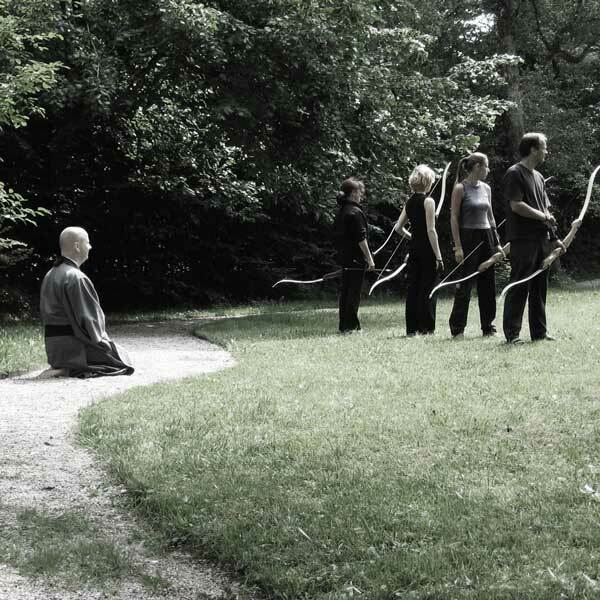 One of my first experiences on the Way of Zen was the involvement of my body into practise. That was new for me because I come from a Christian tradition. Although Christianity says that God turned human and took on a physical form, the body itself doesn’t play a big role in the religious development of humans. A Buddhist Sutra, on the contrary, says: » Body, soul and speech are one. My heart goes with the chime. May all who listen wake um from carelessness and surpass all fear and sadness. « This text stresses that everything is a part of the process of our being but that the experience happens in the concrete now. 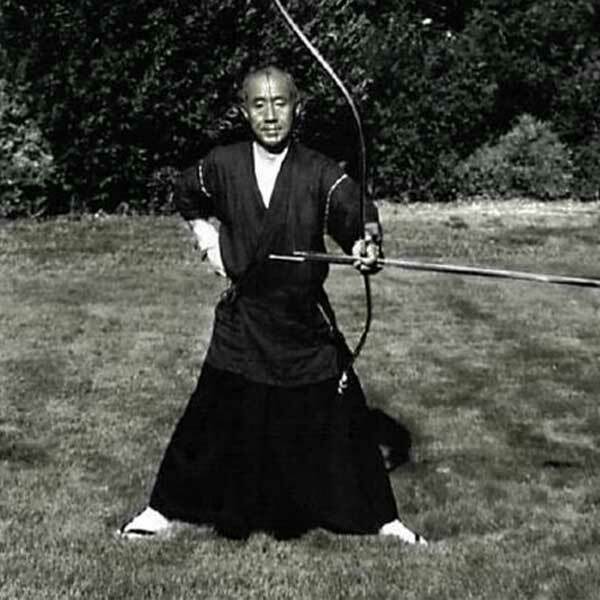 Practise with the bow (see film) impressively taught me the integrity of this never ending path. At the same time, I experienced how much practise with a bow touches my life, how my life is mirrored by it, how it is shaken and grows again. The path, however, only becomes accessible through practical action and untiring actual practise, not intellectual speculation. »A certain man who was learning archery faced the target with two arrows in his hand. 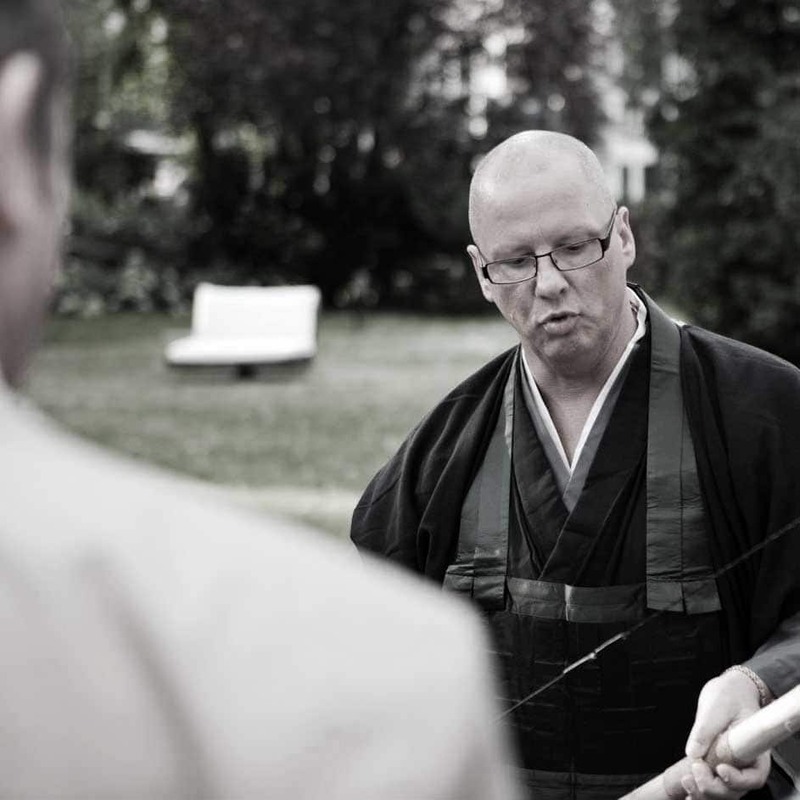 JUST LIKE IN ZAZEN, the Zen practise on a meditational cushion, silence is the main rule for practising with a bow. Silence does not only mean not saying anything but being unobtrusive with our gestures, avoiding any kind of self-centred behaviour and ending the discussion with ourselves. That is how an open space is created and and endless vastness which is the basic prerequisite to perceive sensations of body and mind. If we want to experience tenderness and the abundance of the moment, we need silence. As long as we are on the outside, we can’t learn anything about our feelings, fears and narrowness. »To study the self« means silence as described above in a broad sense. Of course, this isn’t easy, even in a classical, an intensive practise period, because our lives usually go in a different way. We are attuned to communicate, information and exchange, we keep busy with this and that and thereby find a welcome opportunity to move away from ourselves. 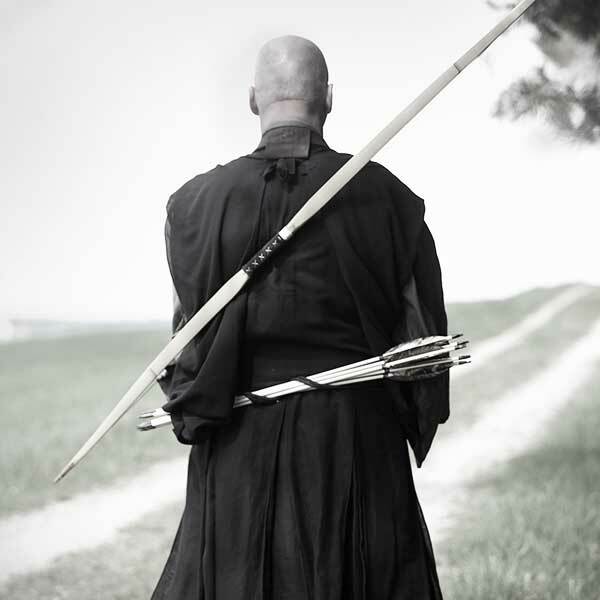 Meaning, if silence is hard for you during practise with the bow that we are doing together with others, it will be even harder for you not to be seduced and open the mind for many things. Because of course, there’s lots of different kinds of new bows to look at, very artfully made arrows, the other students with their skills or failure. You are target and »victim« of my critical evaluation. Will I be able to shoot as skilfully as the others? All of these thoughts disturb our practise of silence. Study the self and stay with yourself, is always the necessary warning that I have to give to myself. That is the only way to be alive, with your life! OUR QUICKLY MOVING TIMES, rapid technical developments, the number of appointments, the incidents that are hunting one another have turned us into impatient people. It’s not only us who suffer from that restlessness, though, but our fellow human beings, as well. Some scenes in this sequence of practise might help us to practise patience. That is us, standing in a row with other students, a bow and three arrows in our hands, waiting for the gong, the signal to start. How hard is it, just to stand, to fully be while standing, to avoid any kind of hurrying ahead with your thoughts, to feel the restlessness and excitement and to accept them without being overruled by them. Even if the group comes into motion, a great deal of mindfulness is needed not to hurry ahead but instead adapt my steps to the rhythm that was formed by the group. 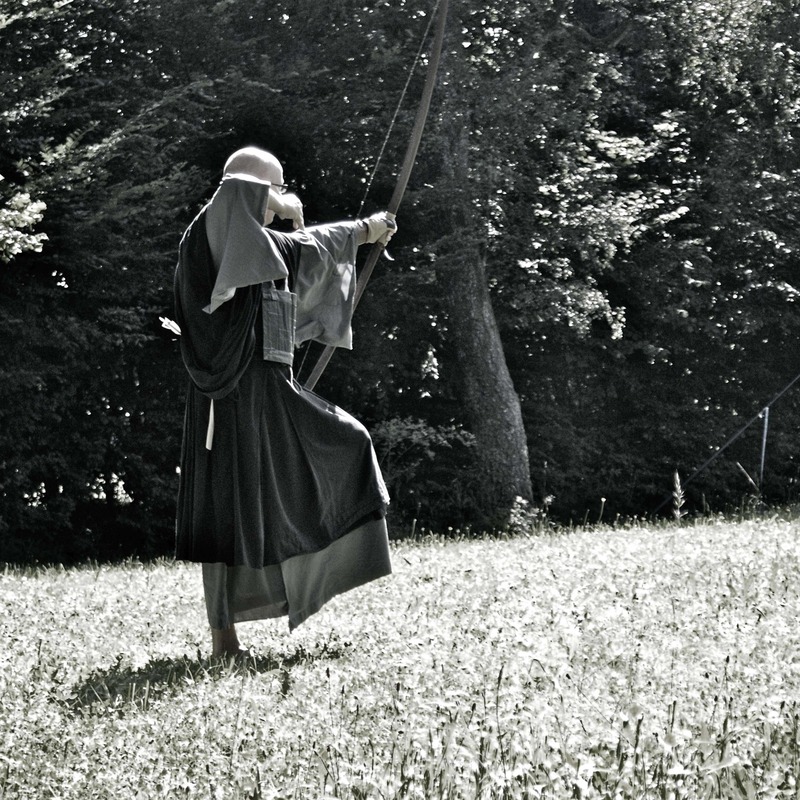 Once I have finally found my one place, from which I can shoot my arrows, that is when the most difficult exercise begins: it is time to coordinate my breath with the exercise. That is why I firstly have to find my breathing rhythm by, free from all thoughts concerning the next step, becoming one with my breath that flows through my whole body. »Every shot is a shot! The more precise the mental demand, the more targeted the physical reaction. The body realises the available knowledge and turns into an instrument of our mental energy. An important and probably never-ending exercise is finding the anchor pint and connected to this the actual detachment of the arrow. As anchor point we consider a certain point – in our case the corner of our mouth – that our middle finger will have to reach precisely under highest tension of the bow to enable a clean detachment of the arrow. There’s also two important experiences to this: Precisely reaching the anchor. The finger must not be too high, too low, too early or too late positioned because that was change the angle or extension length and with it the thrust power. Without mindful contact between finger and corner of the mouth and without careful attention of their becoming one no clean »detachment« will succeed. The second and maybe biggest challenge is the change of active ‘doing’ into a passive ‘letting happen’. To draw the bow, we need our breath and our back muscles (trapezius muscle). For drawing it we need the highest attention and a good physical engagement. Our manly, active part is demanded. However, once the mind signals us the NOW in the sense of ARRIVAL our activity had to change into a passive relaxing of the fingers. We let go of letting go. To rise in active doing, only to attentively perceive the moment of arrival and of letting happen. Male and female are not contraries but merge to a fertile and wonderful harmony. To reach this harmonious sequence we need the maximum of technical skills. It is a condition to free yourself internally from the technique. It is not a side issue, as some might think who quickly want to reach the actual point of practise. However, it doesn’t exhaust itself. 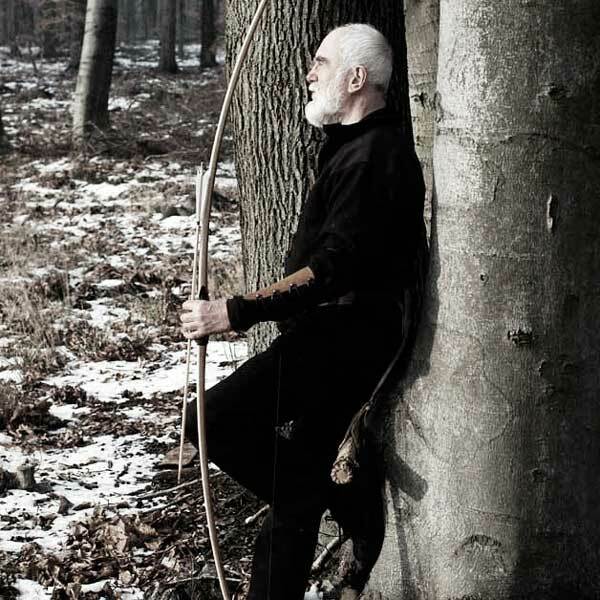 Eugen Herrigel, a pioneer of European archery definitely says: »Archery can under no circumstances mean accomplishing anything outwardly with bow and arrow, but only inwardly.« Human maturation, purification, liberation, emptying ourselves only appear when dealing with the material and handling the technique. A CENTRAL OUTCOME of Buddhist mind training is serenity. How can practise with the bow help us with this? It can often be seen that people with many burdens from their daily experiences enter our practise room, the Dojo. However, sources of stress can also appear in the Dojo, caused by fear of failure. Injuries and neglection can also cause anger or disappointment. Letting go. That can’t simply be reached by an inner order but only if we engage, not adhere. This is made possible by a strict discipline in our Dojo and a clearly structured sequence of our practise. Only if we fully concentrate on it, we will succeed. Of course, our i.e. familiar problems haven’t changed by this but you’ll start seeing them in a different way, more calmly, more relaxed. If we enter the Dojo with a chaotic mind it can happen that we leave it very calm and with a sorted mind. Another example. After shooting our arrows, we bow before the target, before the outcome, no matter what it looks like. With this bow we express our consent. Sometimes that’s rather easy for us. Other times, however, it might be harder. It might be harder for us because we’re not happy with the way we shot the arrows. We might be angry and disappointed and bowing might be difficult for us. We still bow, though. And because we understand our practise as practise of life, we bow humbly before life. That is how we can make two experiences: emotions are like the wind. They come and go. Sometimes the wind blows very hard and shakes us strongly but then it ceases again and the lake turns so clear that we can see the reflection of the moon in it. The practise in serenity helps not to see ourselves as too important anymore. It helps us to step down from our aspirations and become smaller to open up to the greater I, the all-embracing nature of human being. THE CONNECTION OF BODY AND SOUL, of mindfulness and concentration shows very clearly when we’re breathing. It is not about a willing influence of breathing. However, what is important is: mindfully perceiving our breath, to coordinate it with exercises and change the posture. Most western people breathe too flatly. Breathing in is too short, the airflow doesn’t reach the abdomen and our vital energy can’t spread throughout the whole body. Because we combine breathing with our exercises it changes automatically. We have left the description of our practise when standing and lifting the bow. Now we connect standing and focusing the target while breathing in, drawing the string, reaching the anchor point and carrying on with our draw arm while breathing out. All of this happens in a flowing, harmonious movement, in which »in« and »out« naturally follow in sequence. Only if bow and string have reached the body again, does the flow of breath end. To synchronise breath and movement effects a great lightness and freedom, that after years of practise can change our attitude to life. »I breathe in and let my body become calm and peaceful. THE CONNECTION OF BODY AND MIND, of inside and outside, becomes especially apparent when aiming. At conventional archery what counts is the number of hits. Our type of archery is different. An arrow might hit the very middle of the target but it was still not a good shot. Maybe the motion sequence, posture or breath weren’t consistent or there was no harmony between concentration and simultaneous calmness. 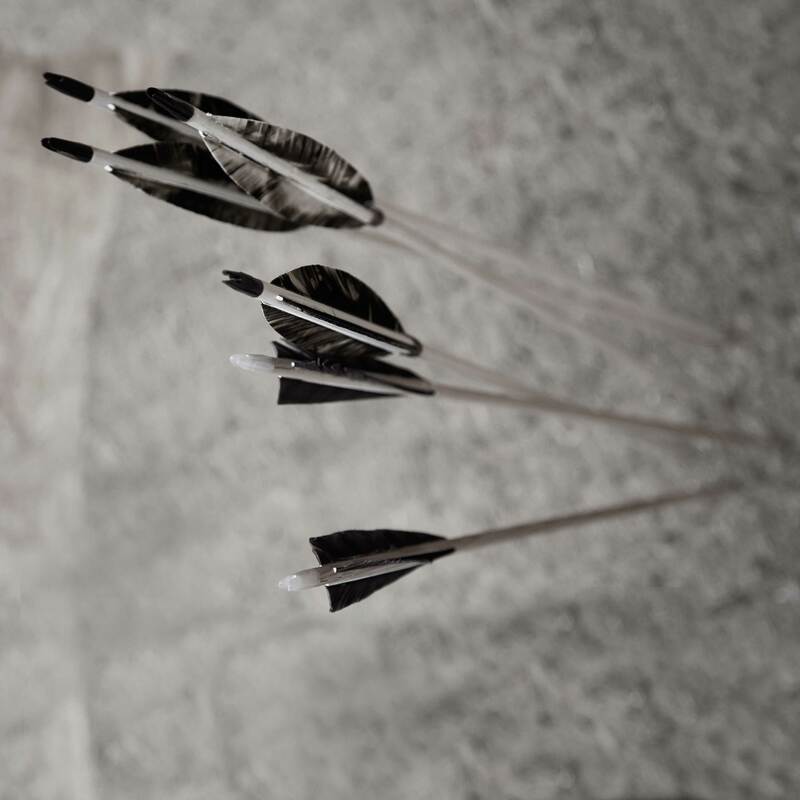 Or to say it more positively: the interaction between technique and mental attitude inevitably leads to hitting the target without aiming conventionally. We aim without actually aiming. The movement that comes from within, is led outside and combines everything has its own value to it. You’ll definitely find confirmation for that on your target. Bow, archer and target become a reality. This reality is the lived now, free from adhesion, without clouding the mind. In the now of the moment, in the unity of body and mind that is where we enter any moment the gate to life in its full beauty and power. That is Zen. All ways of practise comply with this principle. Whatever way we choose ultimately depends on our personal tendencies and practical considerations. Important is our willingness to learn and the power of our dedication.